Usually Christmas songs are overly sentimental, unoriginal, cheesy and bile inducing rubbish. Yes there are exceptions Jona Lewie & The Pogues for example so this one took me by surprise. The Futureheads certainly wouldn’t be top of anyones list to tackle this void and record a ‘Christmas Song’. Well they have. It has just the right amount of sentimentality, it’s called ‘Christmas Was Better In The 80s’ after all but they tread carefully to avoid coming off as total mush. 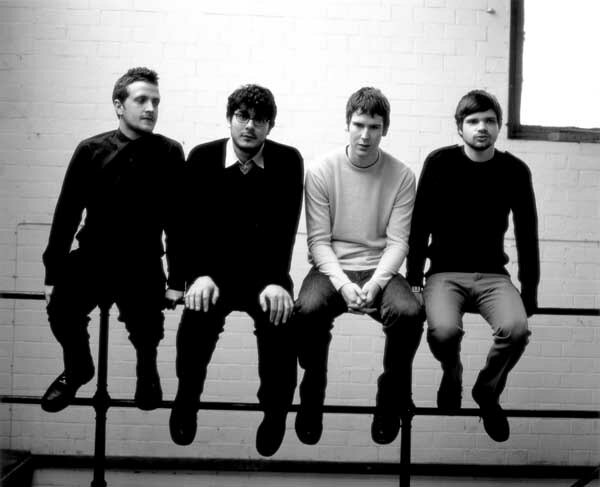 Add a dose of the usual and reliably explosive hallmarks of The Futureheads and you’ve got a tune. An enjoyable listen, probably the best ‘original’ Christmas tune for sometime. Enough of my chattering, give it a listen or watch the video. It’s out on December 19th as part of the band’s 10th birthday celebrations. “The snow was deeper in the 80’s!” …I love that song! They’re my fave band and have been since around 2005!